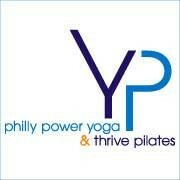 Start taking classes at Philly Power Yoga and other studios! This hour class will introduce Asana basics in the power yoga tradition to you. Troy is an amazing instructor. I always love his classes! Callan was encouraging and explained asanas very clearly. However, she says “ax-hale” instead of “ex-hale” lol. I’d still happily return to her class. Troy is great! He gives a lot of instruction and is very encouraging! Instructor joked around/shared personal anecdotes and didn’t give off the vibe I was looking for in a yoga class. Studio was nice enough and I’d go back with a different instructor. Relaxing and a great stretch! Felt so welcomed! And the class was very challenging. For my first ever yoga class it was a little advanced but everyone was nice and friendly n I followed along pretty well and got a great workout. Definitely will go back. Troy was a great instructor as a beginner he taught us a lot, however there were people in the class who were not beginners and doing completely different moves then what was instructed. This was a major distraction as I was looking to people around me and getting confused on the poses. Class was informative and relaxing at the same time. Great instructor. This was a great beginner class! It had been a few weeks since I had been to class and it was like I never left, except the next morning when my muscles were not so happy. Such an amazing work out, always a fun hour, and usually big thoughts happen while Im on the mat. Always fun, always a good work out, always a positive experience! Troy is the best :) challenging, but overwhelming. He will always come help you out if youre stuck or confused! The class was great - the instructor was great. I understand a lot of these Power Yoga classes have a large number of attendees, but I just have a hard time focusing on my practice when I am constantly adjusting my position because it is so full that people's mats are 2 inches apart. I am a beginning and this was my first time at Philly Power Yoga and I loved it. Troy was very clear in his verbal instructions and well as the expectations for the class which made me feel so comfortable and welcomed. I cant wait to come back!